If you have a different version of the Firefox browser, your process may vary. It is recommended that you do not clear cookies. 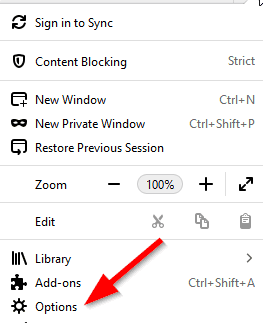 At the top right of your browser click on the menu button then click Options. 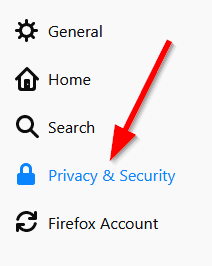 Select the Privacy & Security panel on the left. In the Cookies and Site Data section, click Clear Data.